Patricia O’Brien, Ambassador of Ireland to France, closes the European trading day in Paris. A unique opportunity to be in the heart of business and to meet the contributors to economic and cultural exchanges between France and Ireland. 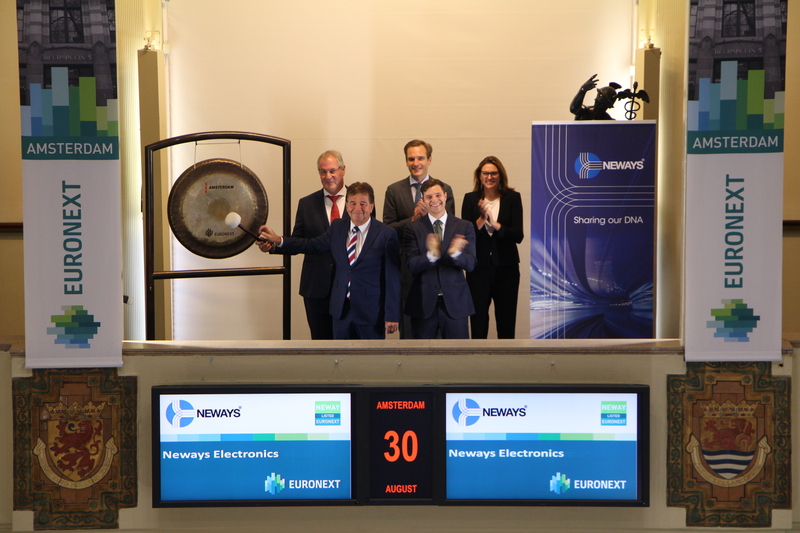 A networkIrlande event in association with DAVY and EURONEXT. State Street has listed a full range of 10 U.S. 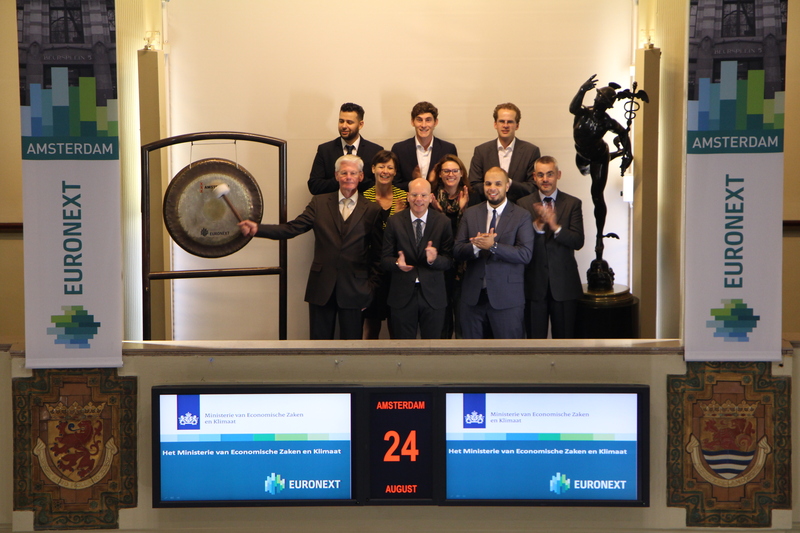 Select Sector UCITS SPDR ETFs on Euronext, and on this occasion they sound the gong on the Amsterdam exchange of Euronext. The range of 10 U.S. Sector ETFs includes exposure to the newly created Communication Services Sector. This new sector will include some of the largest names in the S&P 500, like Alphabet, Netflix and Facebook. Following the listing of the US. 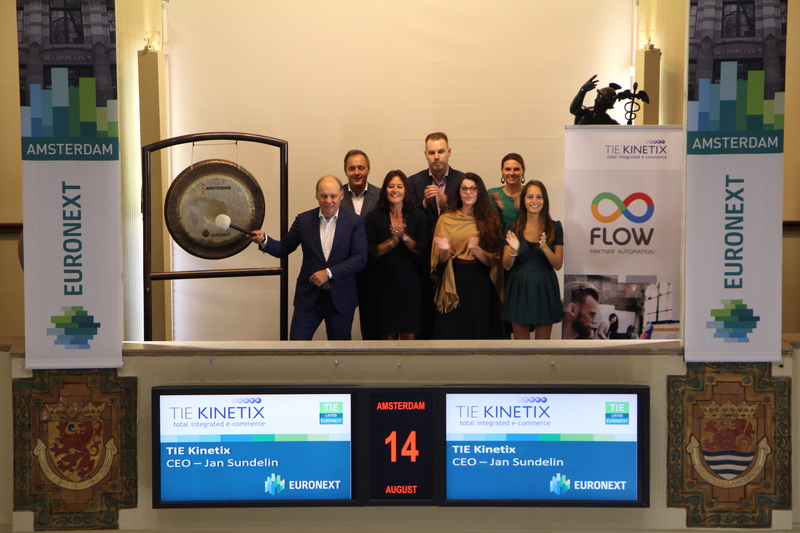 Sectors range, investors now can access the full suite of SPDR Sector ETFs - including Global and European Sectors - on Euronext. 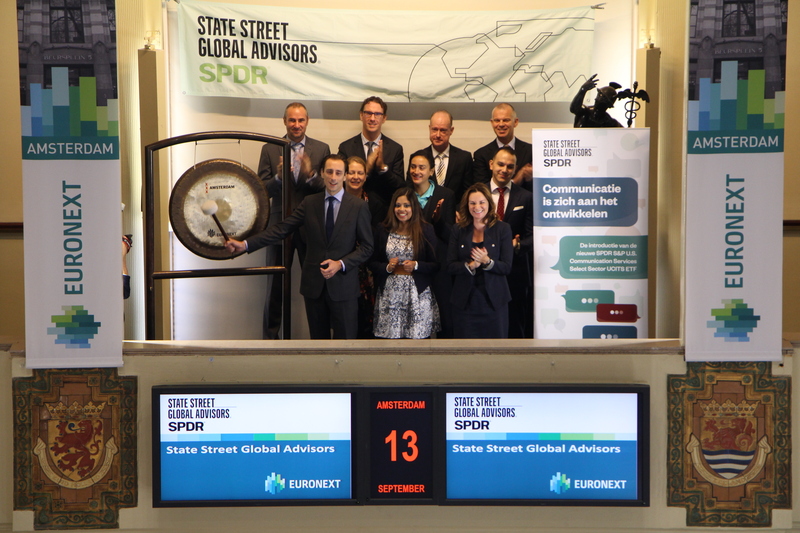 State Street Global Advisors is a Global leader in sector ETFs, having introduced the first such funds in the US in 1998 before rolling out the US, European and World sector ranges with European listings. We now have over $165 billion in Assets under Management in Sector ETFs. SPDR is the only provider with a full suite of physically replicated US, Europe and World sector UCITS ETFs in Europe. The launch of the US Communication Services sector brings our UCITS range up to 30 funds. The Dutch participants and partners of the fourth edition of the Euronext TechShare program 2018-2019 sound the gong to open trading. 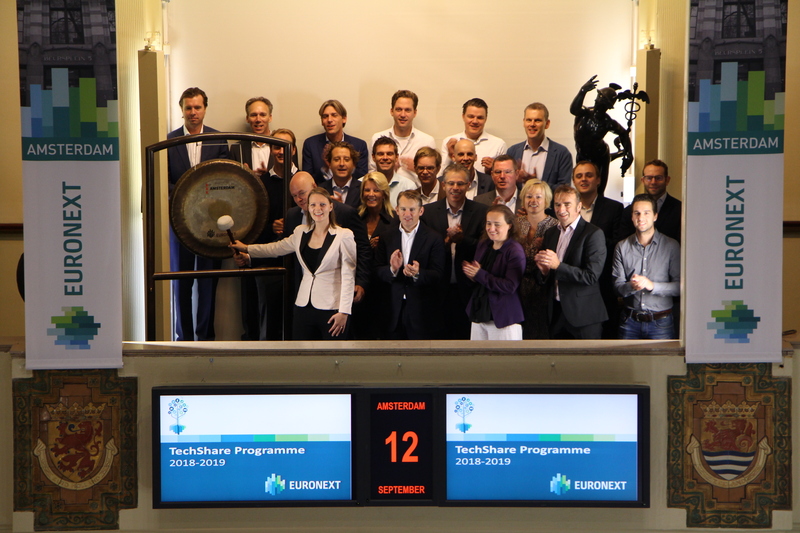 TechShare is an educational program that is specifically aimed at fast-growing and innovative tech companies, who want to know more about the process around an initial public offering. The program helps owners and directors of tech companies to better understand the function and dynamics of the financial markets. CEOs of the participating parties are better able to assess the possibilities of a listing and their opportunities in relation to their strategy and growth ambitions. The official start of TechShare 2018-2019 is at the HEC in Paris, on 21 September. 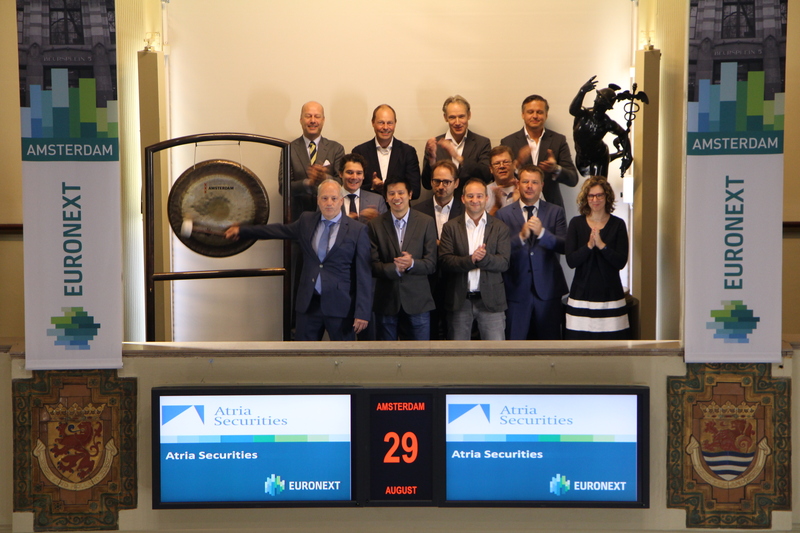 On behalf of Euronext, this international renowned business school in Paris provides a two-day campus for all participants. All companies and partners from both Belgium, France, Germany, Italy, the Netherlands, Portugal, Spain and Switzerland are present. Throughout the year, various workshops and interactive sessions take place, with all local partners and companies. 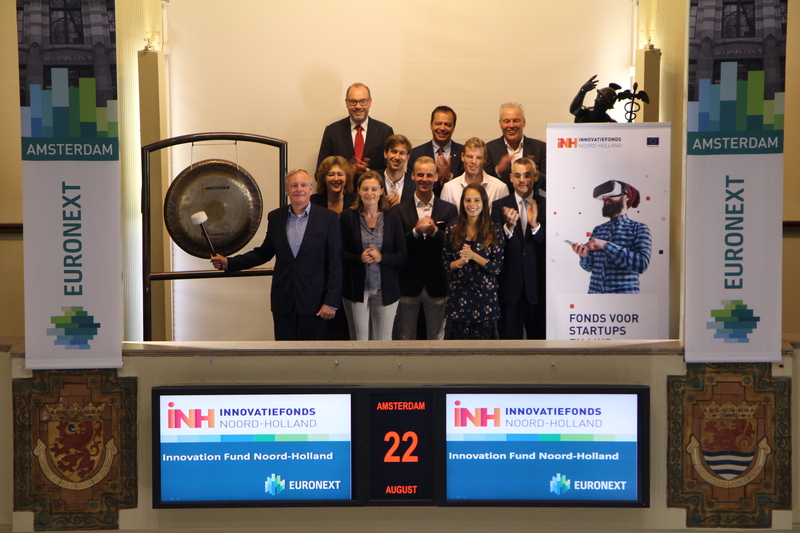 Dutch partners of the TechShare program are ABN AMRO, AFS Group, Baker McKenzie, Brainport Development /Brainport Network, CFF Communications, Deloitte, Kempen & Co, NLGroeit and Rutgers & Posch. Each partner exposes a specific subject within the process of a possible listing during their workshop. In addition to the detailed information, TechShare provides all the participants with many valuable new contacts. 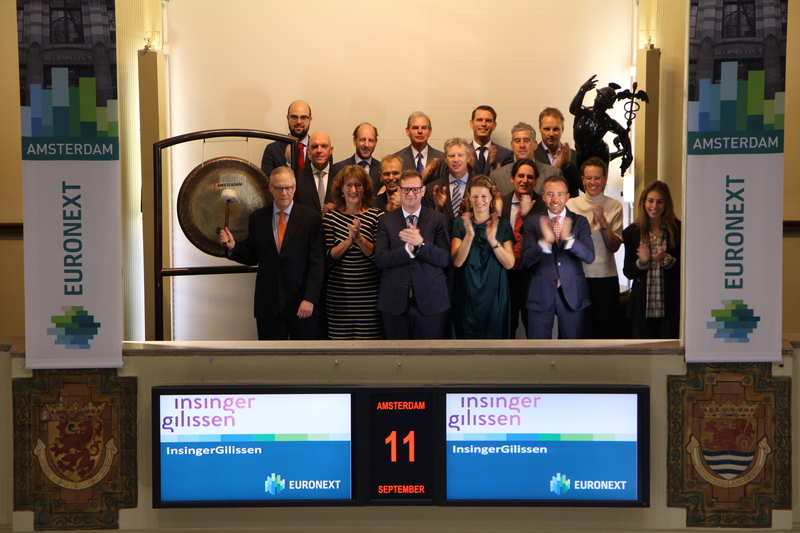 InsingerGilissen, represented by Paul Broholm, opens the trading day marking the public listing at Euronext Amsterdam of three sustainable index funds. Broholm oversees the bank’s offering to institutional clients which covers services like sustainable investments and was closely involved with the development of sustainable index funds at InsingerGilissen. Since 2010 the sustainable index funds have been – aside from professional investors – already available to private clients of the bank and since their introduction the fund assets (assets under management) have grown over the years to almost EUR 1 billion. With the listing also other – both private and institutional investors - get easy access to invest in the most sustainable companies in the world. InsingerGilissen Bankiers N.V. is a private bank that focuses on serving high net worth individuals and families, foundations, associations and institutions, while also offering specific services for independent asset managers. In addition to discretionary asset management and investment advice, InsingerGilissen offers private clients a wide range of private banking products and services. The range of products and services for institutional clients includes asset management, asset consulting and investment products. 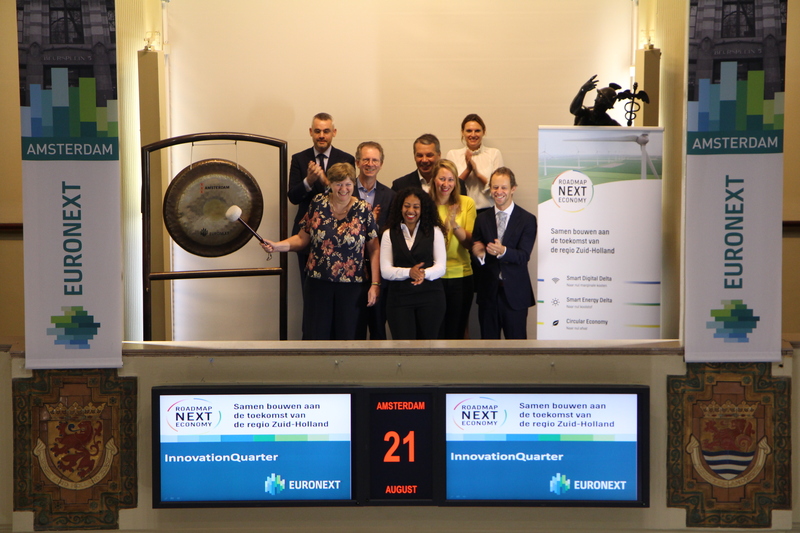 The Euronext Amsterdam’s markets are opened by RELX Group to mark the simplification of its corporate structure and the first day of trading under a single parent company. 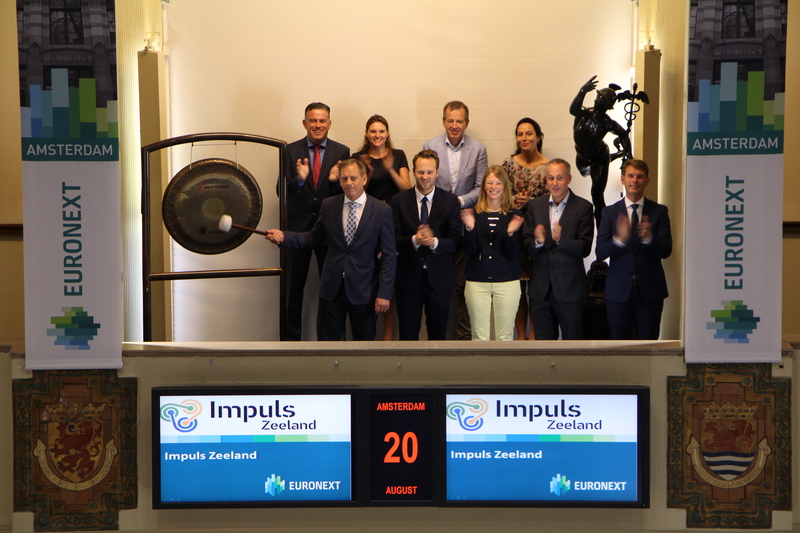 Nick Luff, CFO of RELX Group, sounds the gong to celebrate. 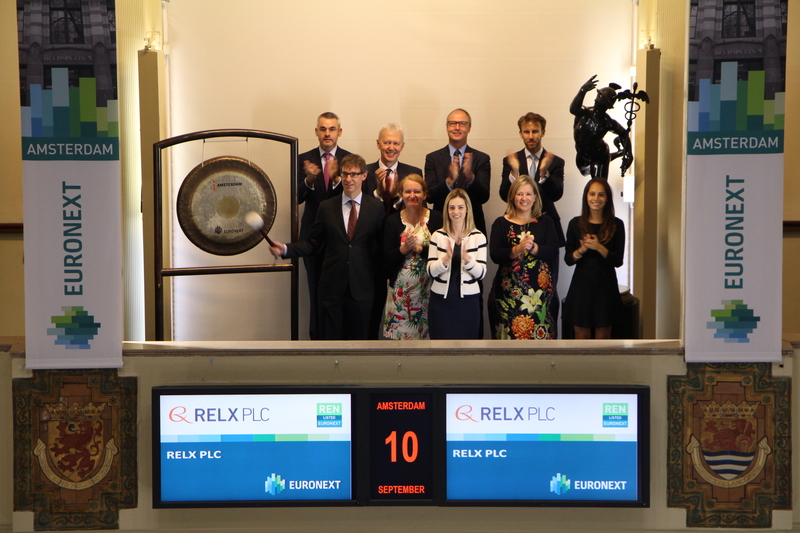 On 15 February 2018, RELX Group announced its dual parent holding companies RELX PLC and RELX NV would be merged into a single parent company, RELX PLC, to reduce complexity and increase the transparency of the Group’s corporate structure. 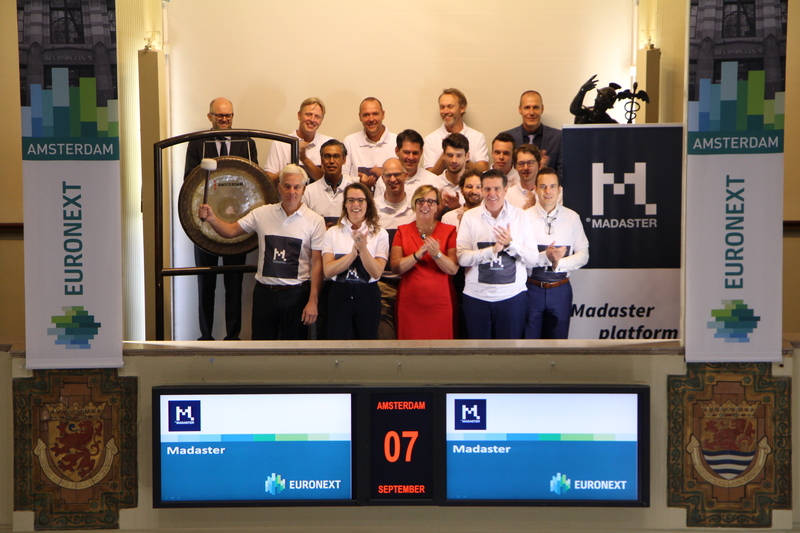 Thomas Rau, board member of the Madaster Foundation, sounds the bell in celebration of the successful first year of the Madaster Platform, and invites the business community to take their financial responsibility within the circular economy. The Madaster Platform, an independent public platform from which material passports can be generated with the ultimate goal of eliminating waste, worldwide, was launched on 29 September 2017. A large number of big names in the Dutch economy have committed to Madaster’s objectives, over the past year. They are thus contributing to the platform’s development, which, to date, contains registrations for nearly 1,000,000 m2 in floor area. In addition, a national infra-learning environment has been set up, to encourage the reuse of materials in infrastructural projects. The Madaster Foundation is a Public Benefit Organisation (PBO) — a non-profit organisation with waste elimination as its primary objective. The foundation includes representatives from various economic sectors. It promotes, stimulates and oversees the development and use of material passports, via the Madaster platform for new and existing buildings around the world. The sounding of the gong announces the seventh edition of the Amsterdam City Swim. By annually organizing a unique, impactful and social swimming event in the Amsterdam canals, the Foundation Amsterdam City Swim strives to raise as many funds for research into underexposed diseases. As long as there is no cure for ALS, the Amsterdam City Swim aims to raise money for the ALS Foundation in the Netherlands and draw attention to the disease ALS. Sunday September 3 the 6th edition of the Amsterdam City Swim takes place, and over 2500 adults and 300 kids will participate and swim in the Amsterdam canals to raise money for the ALS Foundation. Unilever (ticker symbol: UNIA) has been the main sponsor of Amsterdam City Swim with their Dove Men + Care brand since 2015. Unilever has chosen to support the event with Dove Men + Care because it stands for: CARE MAKES A MAN STRONGER. Not only does this mean to take care of your own body with the Dove Men + Care products, but also care for the people around you. Invibes Advertising specializes in native digital advertising services. The company offers advertisers communication solutions tailored to users' experience on media websites. Invibes Advertising analyzes the characteristics and interests of users based on the websites they visit and articles they read, and recommends advertisements and calibrated content according to their profile and their tastes. 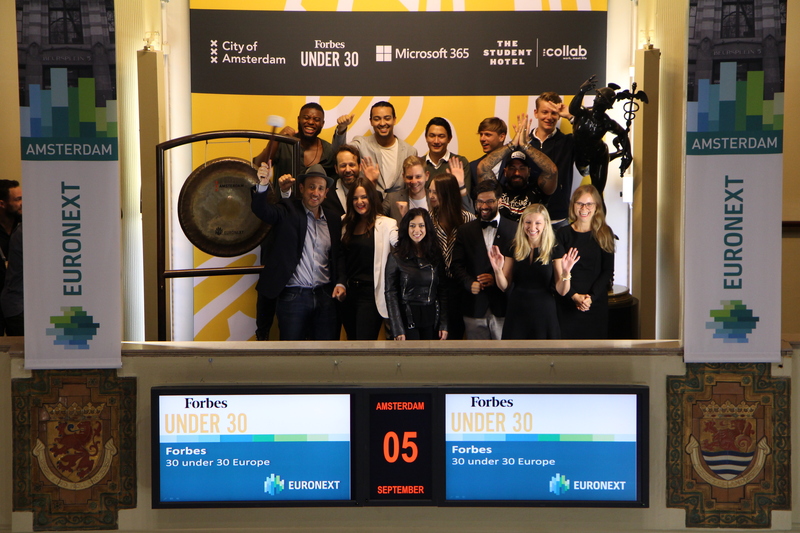 The honourees of Forbes’ Under 30 list, along with Randall Lane, Chief Content Officer and creator of the Forbes Under 30 List, will sound the opening and closing gong to officially kick off the first-ever Forbes Under 30 Summit Europe, taking place in Amsterdam 5-7 September. 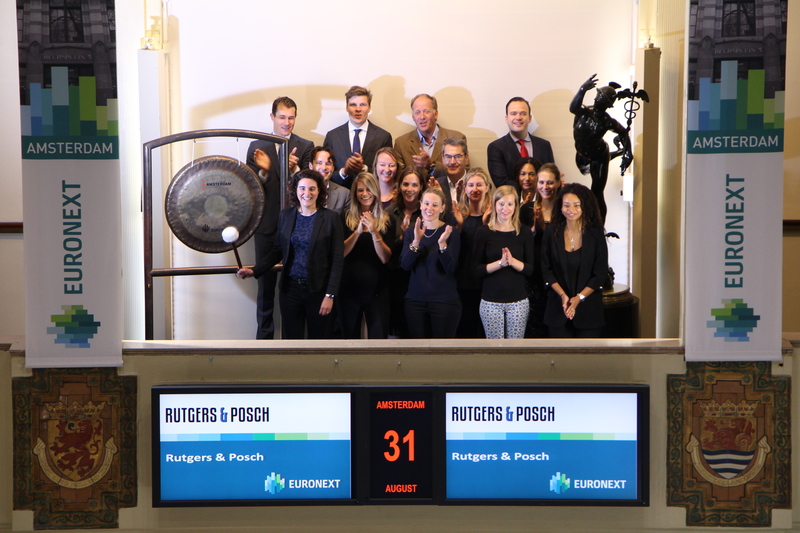 This ceremony will officially kick off the Forbes Under 30 Summit Europe in Amsterdam. Over three days, Forbes will bring together the most creative and accomplished young game changers from across the continent for inspiring programming, excursions that will immerse attendees in Dutch culture, and unparalleled networking opportunities thanks to the global reach of Forbes’ 30 Under 30 community. Forbes Media, the defining voice of entrepreneurial capitalism, is a global media leader that champions success by celebrating those who have made it, and those who aspire to make it. Forbes convenes and curates the most-influential leaders and entrepreneurs who are driving change, transforming business and making a significant impact on the world. Forbes’ Under 30 franchise is a global platform, which comprises Forbes Under 30 lists featuring young game changers published in print and online all over the world, live summits in the U.S., Asia, Europe and Israel, and an Under 30 Channel on Forbes.com. Leonie Jesse, director of DPA Sustainability, opens the trading day on the with the traditional sounding of the gong. DPA (ticker symbol: DPA) raised awareness for Sustainable Tuesday and the importance of sustainability in general. Sustainable Tuesday is a special day on which, since 2012, the sustainable throne speech takes place and a platform is given to hundreds of sustainable ideas and initiatives from all corners of our society. DPA Sustainability was founded earlier this year and supports organisations in realising their ambitions and objectives in the area of Sustainability & Social Responsibility. 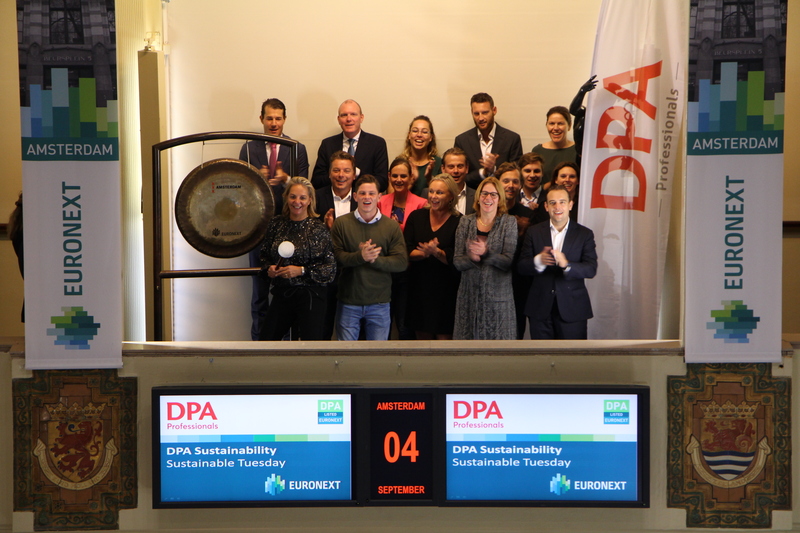 DPA Sustainability focuses on the financial sector, the supply chain and the public sector. DPA Sustainability is part of DPA Professionals, a Dutch operating service provider for and by specialised professionals whose mission is to help people and organisations to get the most out of themselves. 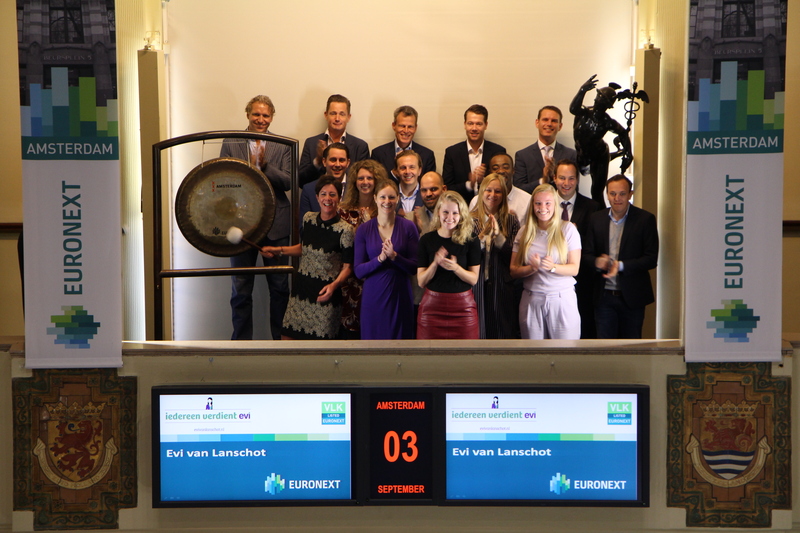 Evi van Lanschot celebrates its 5th birthday this month. 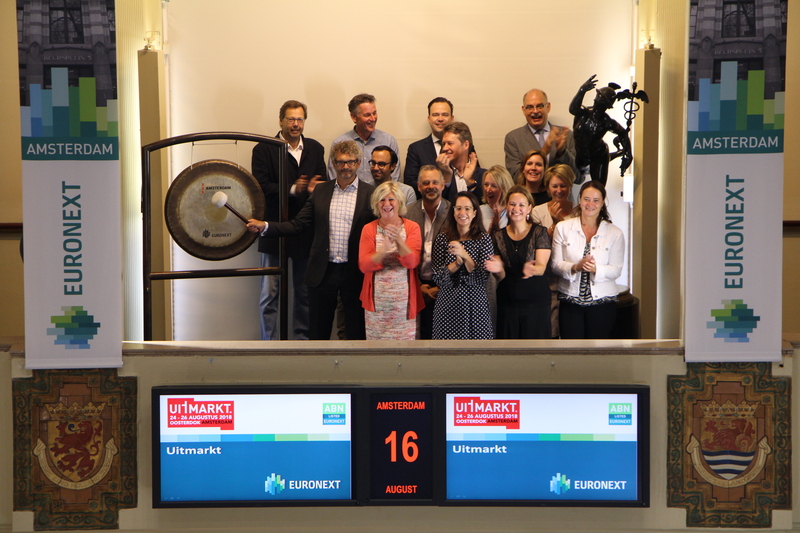 In honor of this milestone Doryne Bouwman, senior investment coach at Evi, opens the trading day at Euronext Amsterdam by sounding the gong. Evi is an online asset manager that makes investing easily accessible to all people since 2013. 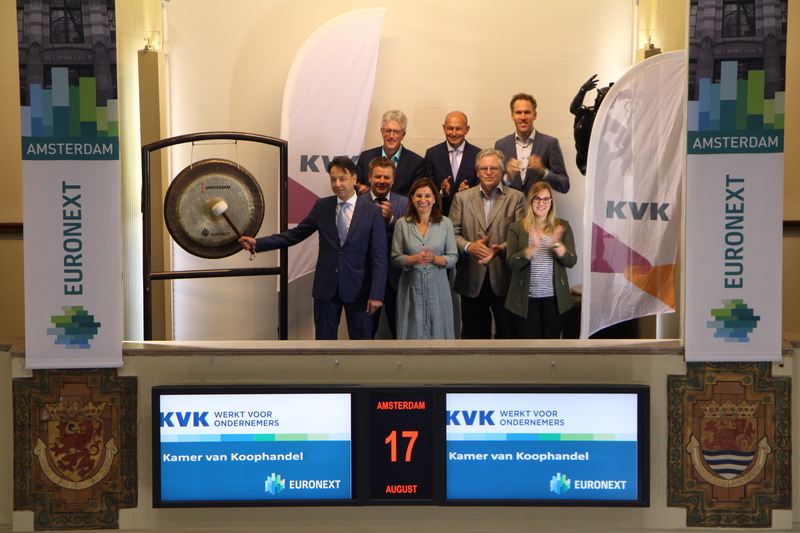 As the youngest offspring of the Van Lanschot Kempen Group (ticker symbol: VLK), Evi capitalizes on the Group’s asset management knowledge with an innovative online proposition. Evi’s loyal customerbase resulted in a consistent growth, both in clients and in assets under management since inception. At the moment, nearly 1.5 billion euro is entrusted in its funds and savings portfolio. 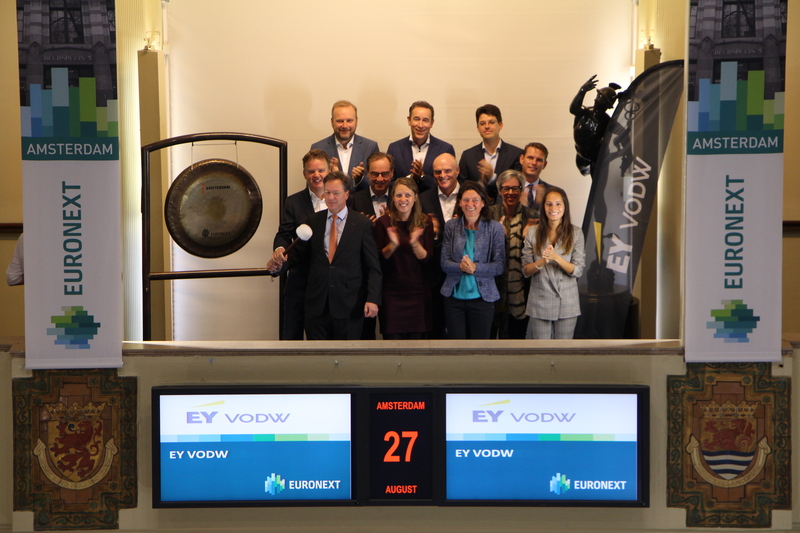 Despite its young age, Evi has been awarded the 'Gouden Stier' for best online asset manager two times in a row (2016/2017).